Gently eliminates facial hair in minutes. The brush on applicator provides a precise application making it easy to use. 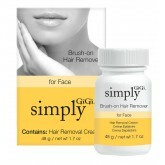 The ideal solution to quickly rid the face of upper lip hair. The two-step system removes unwanted hair while the smoothing balm gently coats the skin to protect against irritation and redness. 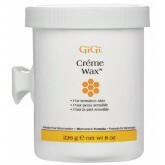 GiGi Crème Wax Microwave Formula is a gentle creamy wax recommended for sensitve skin. Aids in the comfortable removal of all unwanted hair, revealing silky soft skin. No scrubbing here! 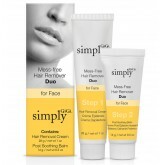 Just apply, leave on for directed time and rinse off for smooth hair-free skin. This non-strip formula is for minimal facial waxing services. 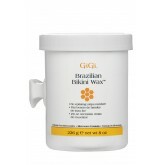 GiGi Tweezeless Wax is perfect for quick facial wax touch ups, making it a wonderful add-on service once the client is "in the chair."